Last Saturday my friend, Sander, and I decided to head into the southern Tobacco Route Mountains to look for new boulders. I had used Google Earth to look at the mountains there, and found a couple of really big boulder fields with really big-looking boulders. We drove into the mountains about 10 miles on a dirt road, but came across deep snow covering the road about three miles before the road's end. No worries; we parked the truck, got out and started walking up the road with our crash pads. Once we got to the end of the road, we started bushwhacking, heading way up and over a massive ridge, literally sinking into the snow up to our waists every third step. 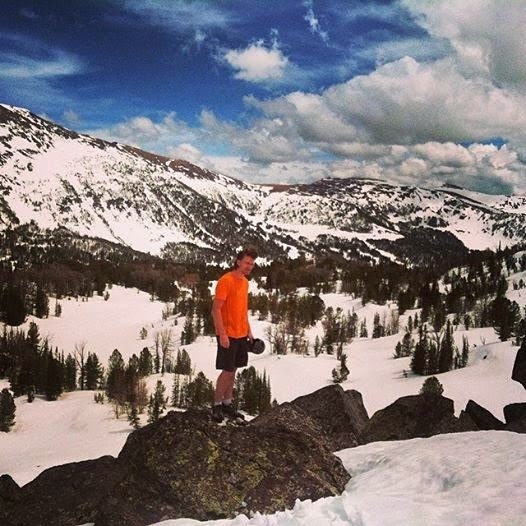 We were wearing shorts and tennis shoes in a place that would have been appropriate for back country skiers. If we would have seen any, they would have wondered what the hell we were doing out there. Note: apparently Google Earth takes is pictures in the summer. After hours of post-holing with no suncreen on (oops! 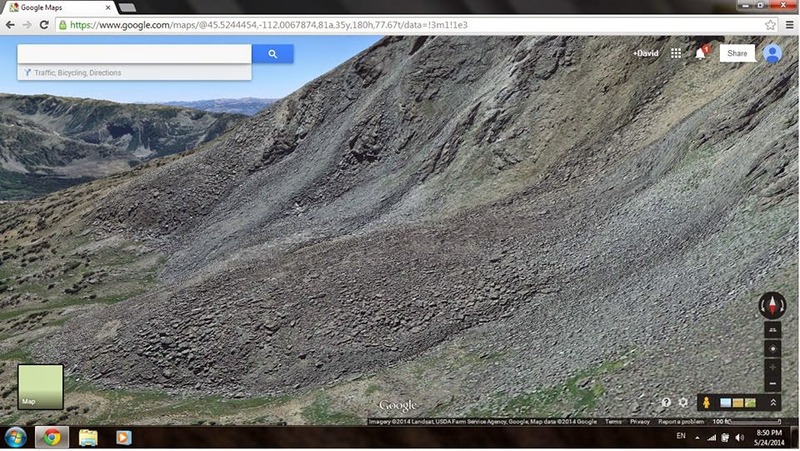 ), we finally arrived at what must have been the boulder field I had found online. But the snow was so deep, the largest piece of exposed boulder we saw was about three feet tall! We had a good laugh and tried to retrace our path back to the truck. On the way back, we got a little off course and couldn't find the bridge we had used earlier to cross a river. We were so tired, we didn't even care and walked right across the waist-deep, freezing cold river in our clothes and shoes. When we finally were able to find the road again, we were both yelling, "YES!!!" and fist pumping. We were saved! 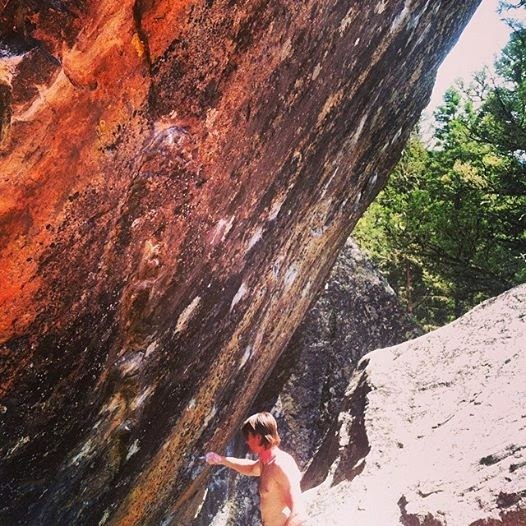 The next day, Sunday, we figured we'd might as well try again to brush up some new boulders. So this time, we went to a different area, about an hour south of Big Timber. 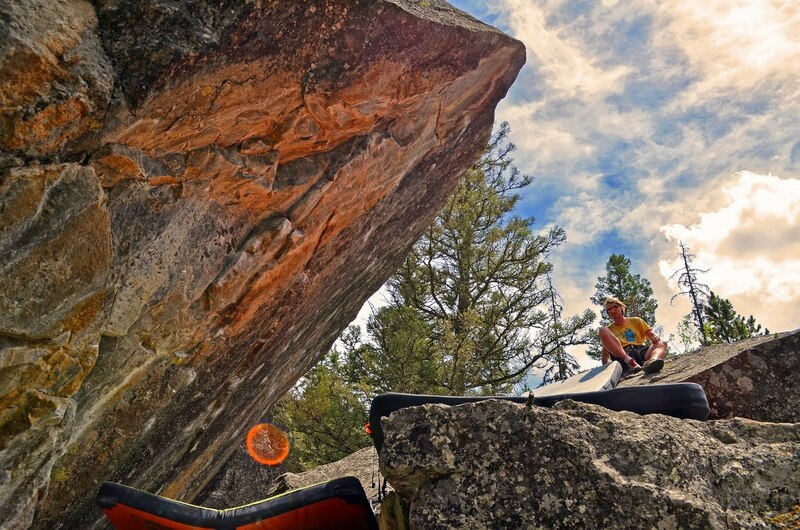 We returned to an area some friends had shown us earlier, and went straight back to the best boulder we'd ever seen in Montana. It's huge, overhanging, and has multiple really hard-looking lines on it. We started brushing and chalking it, and building up a landing.